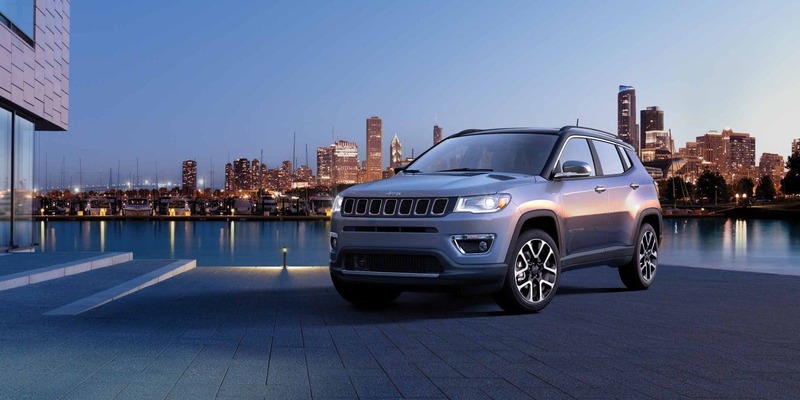 There is nothing more exciting than buying a new car, especially a Jeep. Everyone in the car world understands just how much fun a Jeep is, whether you're on the road, or off of it. 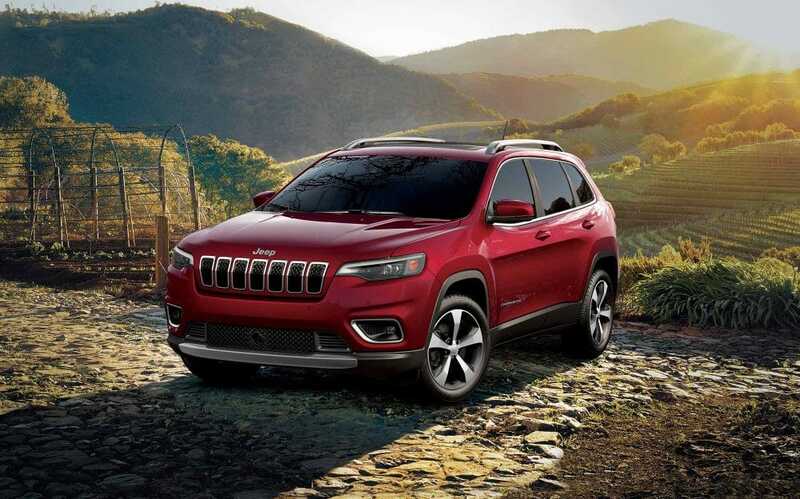 One of the best options in the Jeep lineup is the Renegade, and the 2019 model is here with a fresh look, revised functionality, and new feature availability! 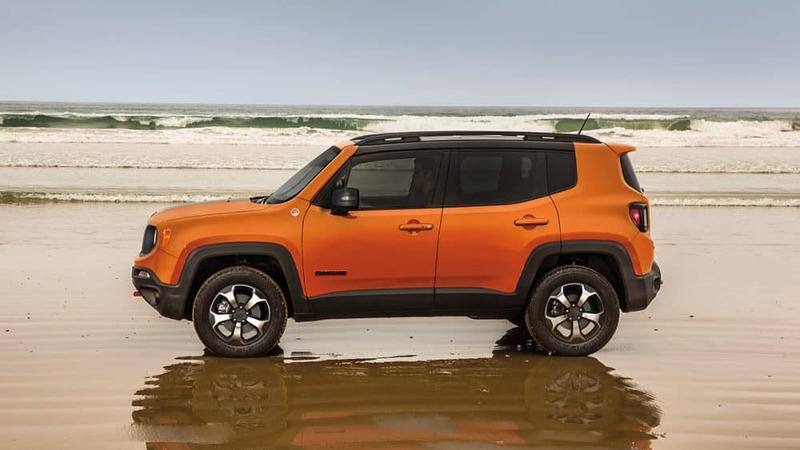 The 2019 Renegade is perfectly sized, includes the latest in technology, gives you that classic Jeep flair, and also manages to have a trim level with best-in-class off-roading capabilities. There is nothing this SUV can't do, and with the long legacy of Jeep standing behind it, the Renegade is impossible to ignore. If you want to hear about the standard features and the engine options, keep reading! 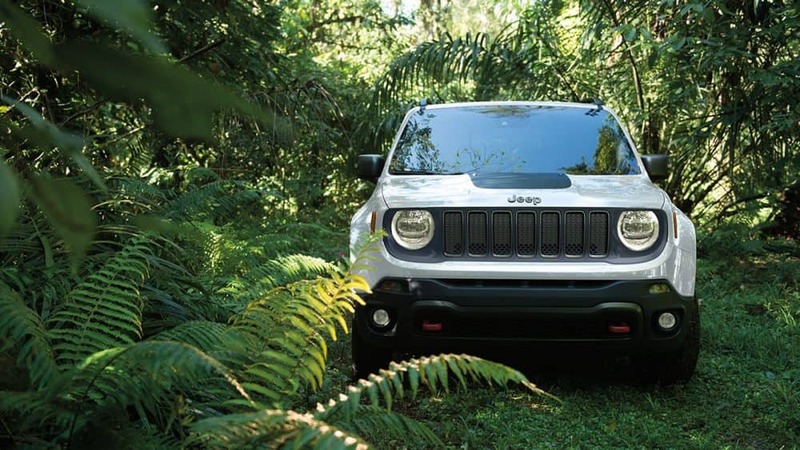 In order to take you on the adventures you want to go, the Renegade comes with two available 4-cylinder engines. The first of these is a 1.3-liter turbocharged 4-cylinder, which can crank out 200 lb-ft of torque and 177 horsepower. Next up is the 2.4-liter 4-cylinder engine, which creates around 175 pound-feet of torque and 180 horsepower. Both engines get a nine-speed automatic transmission. Two-wheel drive is standard, although both engines can work with the optional four-wheel drive. If you get the 2.4-liter engine with 4WD, you can tow up to 2,000-lbs! What trims come with the Renegade? 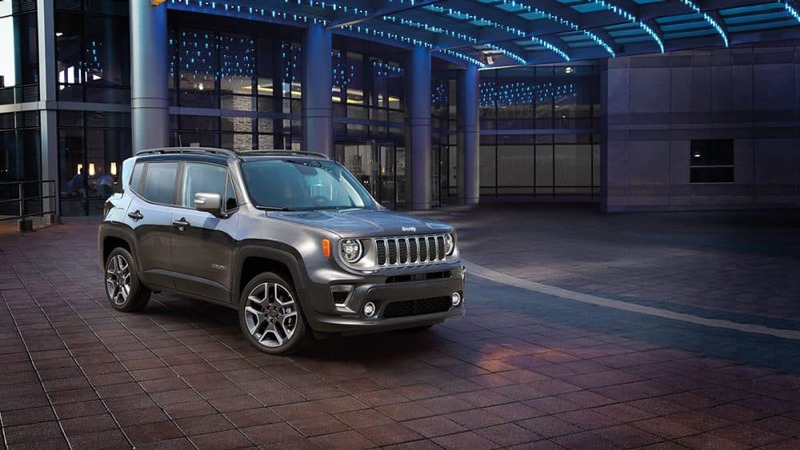 The Renegade doesn't let up when it comes to available trim levels. Actually, this SUV comes with four options (Sport, Latitude, Limited, and Trailhawk), which each offer their own spin on what the Renegade can give you. The first trim in the lineup is Sport, which comes standard with a height-adjustable driver's seat, 16-inch steel wheels, a 6-speaker sound system, a fold-flat front passenger seat, a tilt/telescoping steering wheel, manually adjustable mirrors, Bluetooth, a removable cargo floor panel, a rearview camera, a USB port, a five-inch touchscreen, a 60/40-split folding rear seat, and keyless entry. 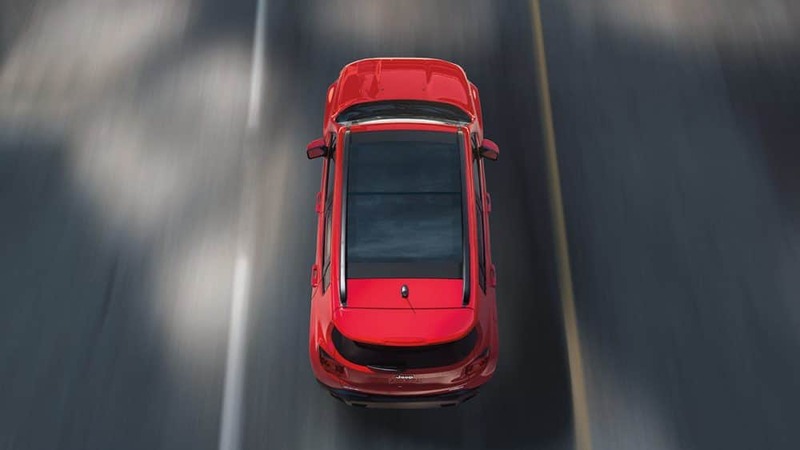 Three packages come available with the Sport trim, including Uconnect 7.0 Group, Power & Air Group, and Sport Appearance. Moving up is Latitude, which features body-colored door handles, all of the three packages offered with Sport, a second-row USB port, ambient LED lighting, automatic headlights, a leather-wrapped steering wheel, and fog lights. For additional features, check out the Limited! This trim adds an auto-dimming rearview mirror, a 40/20/40-split folding rear seat, keyless ignition and entry, leather upholstery, an upgraded driver information display, and 18-inch wheels. 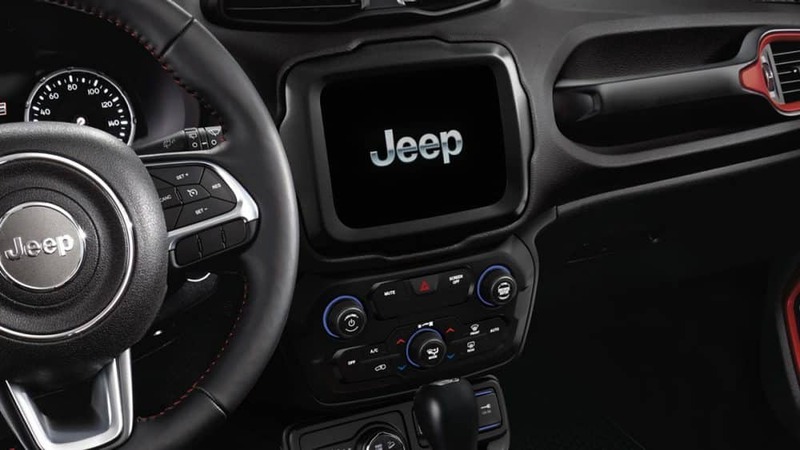 Safety is an unsung hero in the Jeep lineup, and it is sure to impress you in the 2019 Renegade. 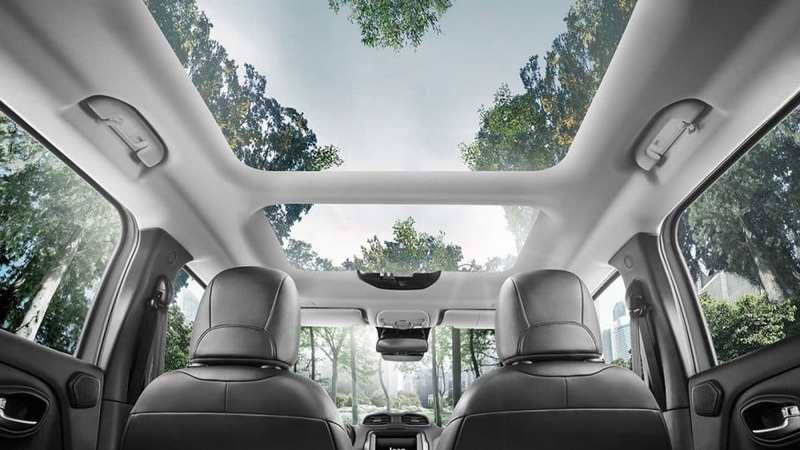 There are over seventy standard and available safety features that you'll find with this SUV, and they're there to make sure you and your passengers can focus more on fun and less on worrying. 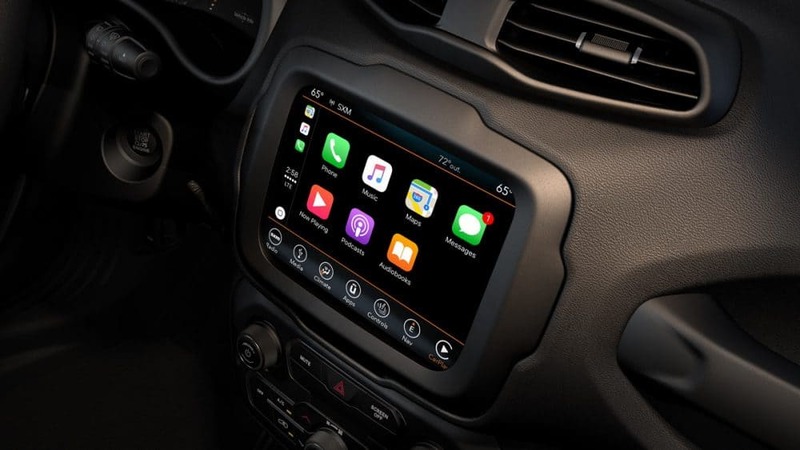 Some of these features include blind-spot monitoring, adaptive cruise control, a rear back-up camera, rear park assist, 7 standard airbags, Uconnect roadside assistance, and front parking sensors! 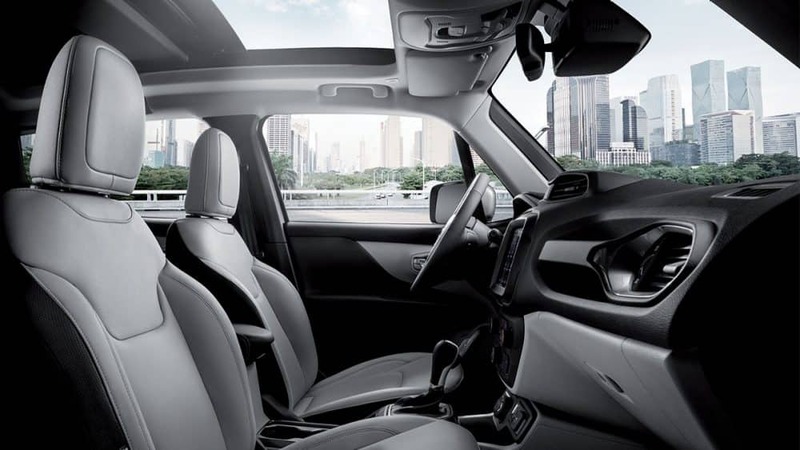 You don't need to look any further, the perfect SUV is right here! 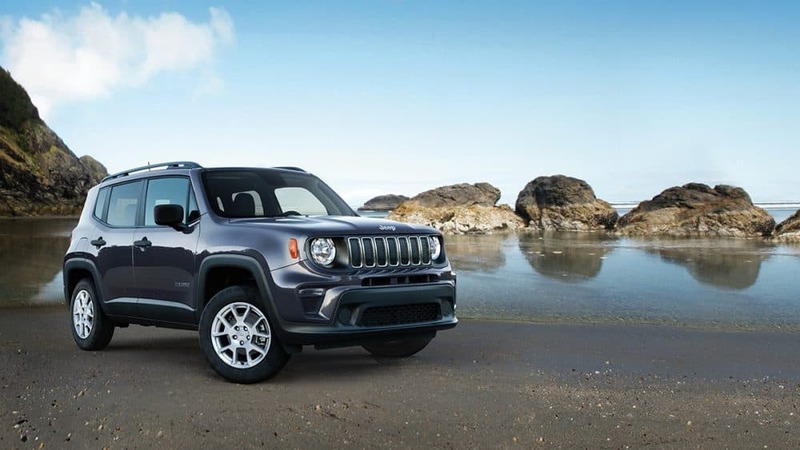 The 2019 Jeep Renegade blends off-roading prowess with on-the-road excellence and is sure to impress even the hardest to impress customer. Stop by our dealership today to check out the models we have in stock!